That is $29.2525M worth of arbitration-eligible players, and, as a reminder, these contracts are not guaranteed. The Yankees could release them in Spring Training and pay either 30 or 45 days of termination pay, depending on the date of the release. I don’t expect them to release anyone, but you never know. The Yankees released Chad Gaudin in spring 2010 and paid him only 45 days termination pay, so they’ve done it before. Anyway, the Yankees signed all their arbitration-eligible players to one-year deals in lieu of long-term contract extensions, which would’ve had luxury tax implications. For example, giving Gregorius the Jean Segura contract (five years, $70M) would’ve raised his luxury tax hit from $8.25M to $14M. You can understand why the Yankees didn’t do that given the plan to get under the $197M luxury tax threshold, right? Every dollar counts. For all you’ve heard about the $197 million competitive balance tax threshold, which the Giants are just barely staying under at the moment, extending Bumgarner now would have ZERO IMPACT on their CBT in 2018 depending on how they structure a deal. The CBT payroll is calculated using the average annual value of salaries for players on multiyear contracts. But the Collective Bargaining Agreement is clear on this: the Giants could sign Bumgarner to anything — say, a six-year, $210 million extension that breaks Zack Greinke’s record-holding $34.42 million AAV for a pitcher — and as long as they sign it before Opening Day, and do not alter terms of his current contract for 2018, his CBT component would remain $12 million for this year. The league would recalculate his CBT number in 2019. Long story short, as long as the Yankees sign someone to an extension before Opening Day, and the extension does not kick in until 2019, their 2018 luxury tax hit remains unchanged. Give Didi five years and $70M from 2019-23, and his luxury tax hit stays $8.25M in 2018. It would jump to $14M in 2019. There is precedent for the Yankees doing this. In January 2014 they gave Brett Gardner a one-year deal worth $5.6M to avoid arbitration. Then, a few weeks later in February, they gave him a four-year extension worth $52M. Gardner’s luxury tax number remained $5.6M in 2014 before jumping to $13M from 2015-18. If they’d signed the extension after Opening Day, his 2014 luxury tax hit would’ve been recalculated to include the extension. So, now that the Yankees have one-year deals in place with their eight arbitration-eligible players, they’re free to explore extensions without hurting the luxury tax plan, as long as the extension starts in 2019 and is signed before Opening Day. A few things about this. 1. This applies to pre-arbitration-eligible players too. Arbitration-eligible players get the most attention as extension candidates because they’re making decent money and are closer to free agency, but this extension rule also applies to players in their pre-arbitration years. For the Yankees, that includes Aaron Judge, Gary Sanchez, and Luis Severino. The Yankees can sign them to an extension that kicks in in 2019 without raising their 2018 luxury tax number. I have no idea whether Judge, Sanchez, Severino or any other pre-arbitration player has actually signed a 2018 contract yet. That’s usually the last bit of offseason business and we rarely hear about those guys signing. It just happens at some point. Judge, Sanchez, and Severino will make something close to the league minimum this year and they are the keys to the luxury tax plan. Those three plus Greg Bird, Jordan Montgomery, and Chad Green. They’re providing big impact at dirt cheap rates. Once they sign their 2018 contracts, if they haven’t already, they’re able to sign an extension without having an effect on the 2018 luxury tax situation. Gary Sanchez: Catchers who hit like this are super rare. Keep him forever. Didi Gregorius: Quality two-way shortstop only two years from free agency. Sonny Gray: Quality pitcher only two years from free agency. Aaron Judge: Love the guy, but he’s already under control through age 30 and who knows how he’ll age at that size? Luis Severino: Pitchers break, man. Aaron Hicks: Two years from free agency and I’m a believer, but I need to see it again first. Greg Bird: Gotta see him stay healthy first. Warren will be a free agent after the season and maybe it is worth extending him given the current bullpen market. Guys like Tommy Hunter and Juan Nicasio are getting upwards of $9M per year in free agency. Warren might too. Other relievers like Green and Kahnle are under control a while, so there’s no need to rush into an extension given the volatility of the position. Betances has two years of control left, but he needs to fix his control first. 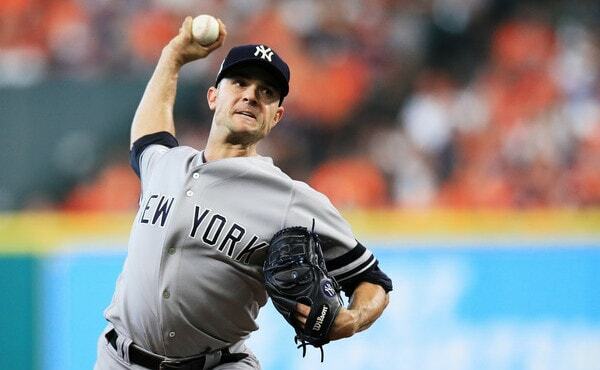 There’s one more extension candidate to discuss: David Robertson. He’ll be a free agent after the season, and even with the free agent market moving slowly in general, relievers are still getting paid. Robertson might be a $17M a year reliever when hits the open market next winter. He loves being a Yankee as far as I can tell. Robertson will turn 33 in April. Would he take something like two years and $28M now rather that wait out the year for free agency? 3. Does it make sense to extend anyone given the free agent market? There’s a chance baseball economics have changed forever. Teams are refusing to sign veteran free agents this offseason, and I think anyone saying “let’s see what happens next year before we worry” is being naive. Bryce Harper and Manny Machado will get paid. Everyone else has to be worried. The days of paying big for decline years are coming to an end. Given that, does it make sense to extend players now rather than see how their market shakes out in free agency? If Alex Cobb and Lance Lynn are having trouble finding work this offseason, why rush into an extension with Gray? Gregorius is awesome. But how desirable will he be when he hits free agency in two years? For the most part, teams tend to be happy with extensions. There are always some exceptions. Pitchers gets hurt, blah blah blah. Usually extensions work out for the team. The calculus has changed though. Extensions may not make as much sense as they once did. The Yankees are in a good place right now. 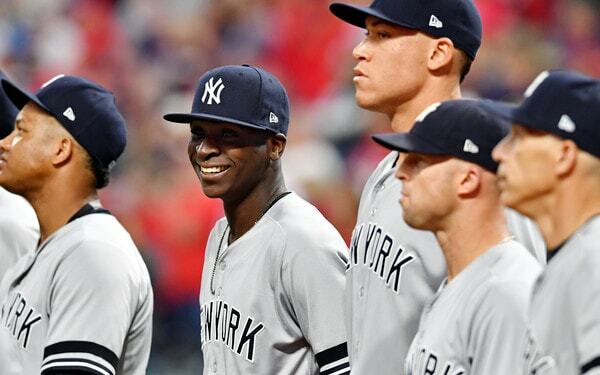 Their very best players (Sanchez, Judge, Severino) are under team control long-term, and many of their other top players (Gregorius, Gray, Gardner, Hicks) have two more years of control. Robertson and CC Sabathia (and Warren) are the team’s only notable impending free agents and the Yankees might be able to replace them from within. Controllable young players and a great farm system are a great mix. There is no real urgency for the Yankees to sign anyone long-term. Maybe there is some urgency with Robertson, but even then the bullpen is deep and he’s entering his mid-30s. It’s not like Judge or Sanchez is two years away from free agency, you know? The Yankees have their arbitration-eligible players signed and will have their pre-arbitration guys signed soon enough, if they’re not signed already. With that out of the way, they can shift focus to extensions that start in 2019 without worrying about the 2018 luxury tax situation. If nothing else, the Yankees should touch base with their top players to see whether there’s mutual interest in a deal.